I decided to start my religious trip this year with my siblings, in our beloved country Indonesia. Coincidentally, I have nothing to do this year while processing my thesis, as well as my sister and brother who finished their senior and junior high school this year. A spiritual trip, just the 3 of us. What a best moment! As Buddhist, we celebrate Vesak Day 2558 Buddhist Era / 2014 this May, 15th. Every year I always heard about the crowd of Vesak celebration in Borobudur, but never feel it by myself. I was dream it since long time ago...and, it just happens this year! How I can tell that...oh it's so amazing feeling that I can't explain. It's not about Borobudur trip, NO, it's not my first time go there. I've already 2-3 times visit this temple. But more special...it's about Vesak trip. My very first Vesak trip honestly. I came to Borobudur this year to join the Vesakha Puja ritual, procession, and celebration. I expected it will become a fully spiritual event, where peace and calmness. Obviously, my expectation and the reality is not the same. The newspapers are true all this time! It was very very very crowded. All Buddhism around the world are here! 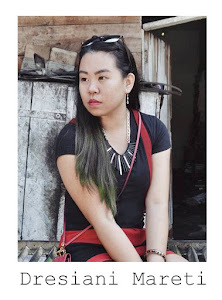 Not only Indonesian, but from India, Tibet, Myanmar, Cambodia, Thailand, Vietnam, Sri Lanka, China, and also westerns. The most impressed me is, a lot of people non-Buddhism even there to join the ritual. Wow! The event was held from H-1 before, until the end of the night. While waiting for the rain, the event still run under the big hood, although the big hood can't accommodate us all. The Indonesia's vice president, Sri Sultan Hamengkubuwono as Yogyakarta's governor, monk, and also some leaders delivered the opening speech. There's some entertainment too such as drama and traditional dance. After that, we all back to each mini hood to pray together. FYI, Buddhist are divided into some sects such as Theravada, Tantrayana, Mahayana, Maitreya, Buddhayana, and many more. Too much, too crowded, and we were totally confused how to join in. Finally I decided to join into Theravada sect, even though not very similar to our sect as usual, but in general it's same I think. Around midnight, all sects are gathered together at the main altar. Vesakh time for this year is 02.15.37 WIB. So along that time, we do meditate. For sure, I really enjoy this moment when everyone is doing meditation. I can feel the earth, the atmosphere of Vesak brings a classic energy, quite, cool, peace, calm, and natural. 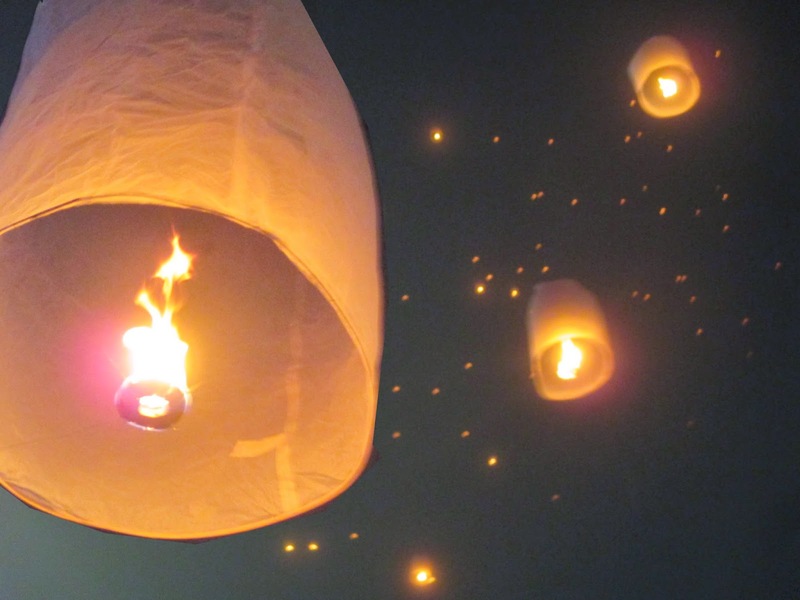 Before the end of event, the final agenda is...Wishing Lampion! 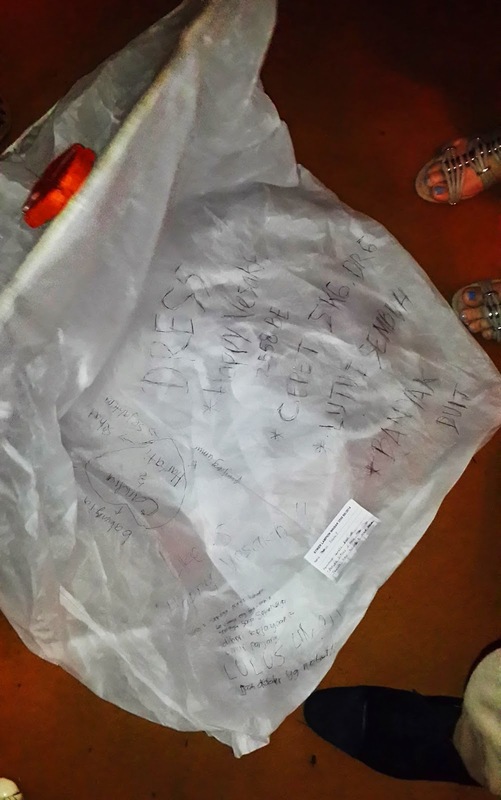 Write down your wishes on the lantern's body, don't forget to wishing your Mom & Dad and the big family too. 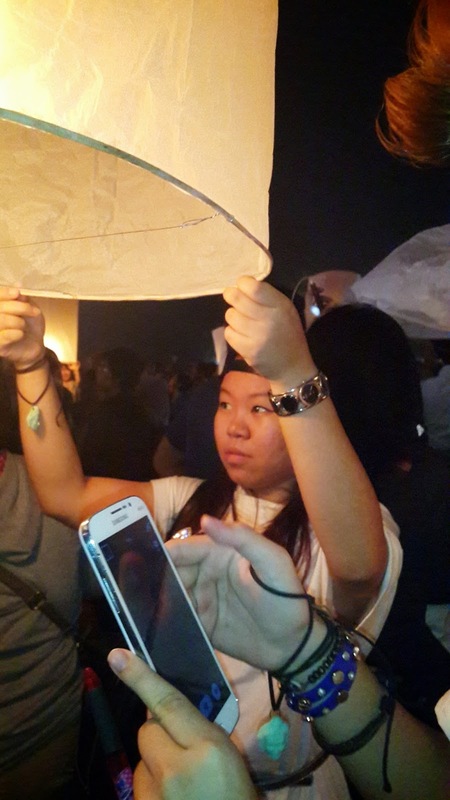 I think it's the most favorite agenda, when 1000 white lanterns were flown into the sky, sparkling as the stars. So beautiful! Even though the sky was foggy because of towards the dawn. Out of the topic, actually when in Yogya, I already have the appointment with some friends to meet up in Borobudur. Coincidentally they are there too this year to celebrate Vesak Day. But guess what... I even didn't meet a single one of them that day, even though we keep in communication via bbm/line during that day. It seems very difficult to meet someone, because it's very crowded and crammed. But the funny thing is, we can meet a tourist who stay in the same hotel with us in Yogya for many times in Borobudur, without any appointment. Hahaha maybe it called 'destiny'! 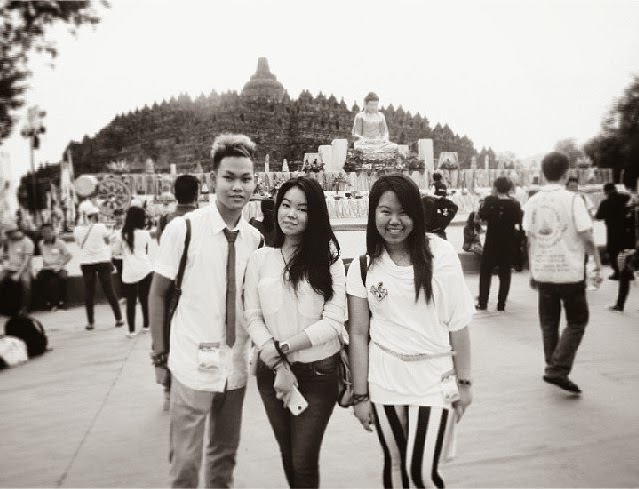 Next, we should come back here, or even continuing our spiritual journey to another country to celebrate Vesak Day. I'm thinking about Thailand, Myanmar, Vietnam, or Cambodia, maybe? If you're a Buddhist, Vesak celebration in Borobudur is a must. You could see the different sects all in one together, and understanding the differences. Buddhist isn't only about Chinese, Javanese, or Hindustan... Buddhist are universal. If you're non-Buddhist, well just come in. It's open for public, and you can find the cultural treasures of Indonesia, Bhinneka Tunggal Ika.